Looking for availability information or alternative product suggestion? Chat Live! 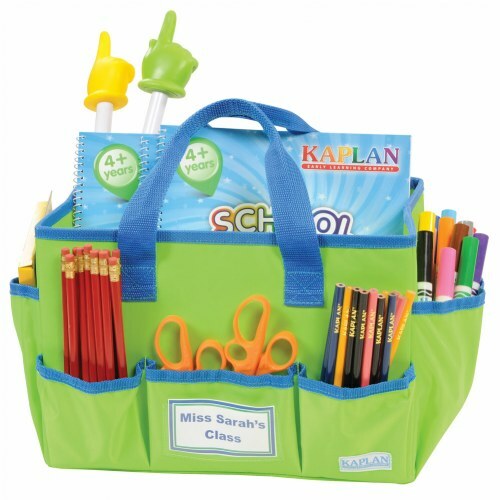 Gather classroom supplies, materials, and necessities for activities and projects in this sturdy multipurpose tote. The versatility of the eight pockets, in addition to the spacious main compartment, allows for inclusion of everything from books and art supplies to preparing for an outdoor excursion. Also includes a transparent sleeve for clear labeling. Tote collapses for easy storage. Measures 8 1/2"H x 12"W x 7 1/2"D. Contents not included.